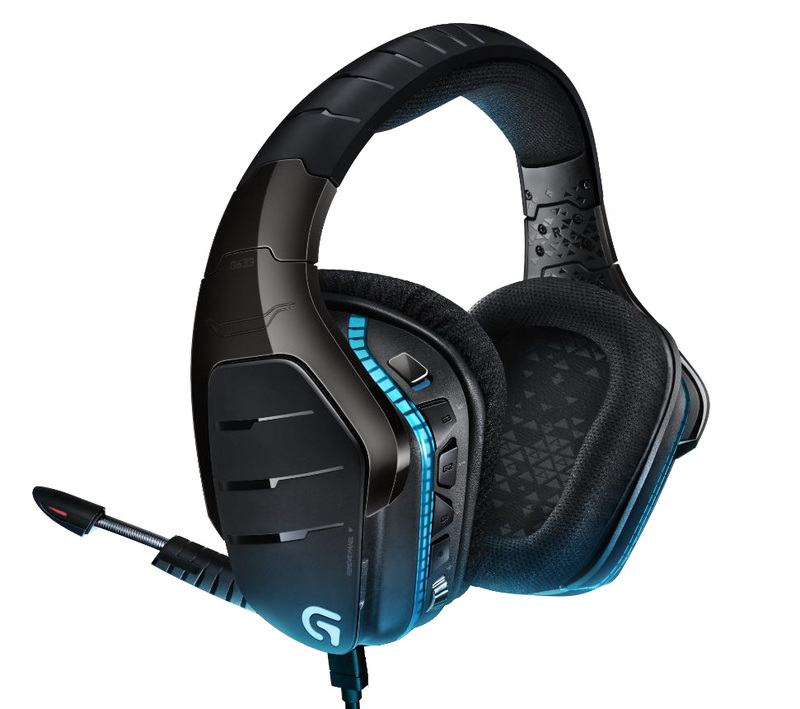 This morning Logitech is announcing an update to the company’s popular high-end gaming headsets, the G930 and G35. The new headsets are the Artemis Spectrum G633 and G933, and like their predecessors, share a common audio platform with wired and wireless connectivity respectively. 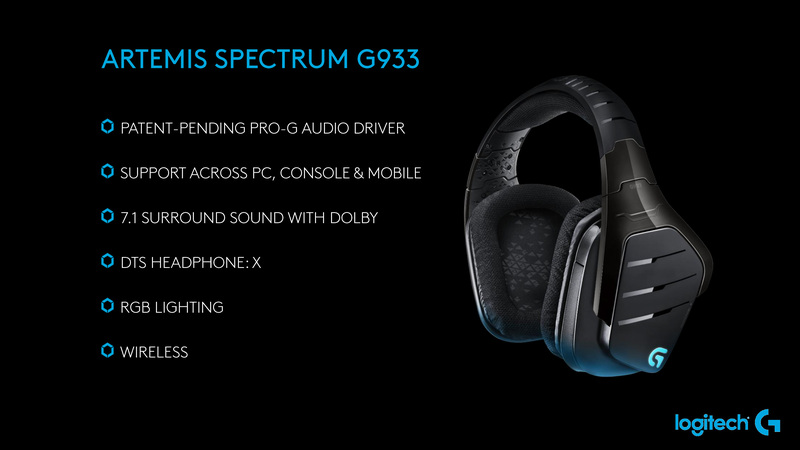 Logitech first introduced the G930 just over 5 years ago, and after many millions of units in sales they are finally updating these high-end headsets with the release of the Artemis Spectrum line. The Artemis headsets are a direct successor to the previous G series headsets, and while retaining the same high-end audio ambitions and 7.1 gaming features of their predecessors, they are also an almost entirely ground-up redesign of the headsets, both in physical form factor and underlying technology. Compared to the current G930/G35 headsets, the new Artemis platform retains the same 20Hz-20KHz frequency range, however Logitech has developed a new audio driver for Artemis which they are calling Pro-G. As a result of the new driver the impedance of the headsets have gone up slightly – from 32 Ohms to 39 Ohms – but so has the sensitivity, to 107dB SPL/mW. Logitech tells us that the new driver design is based on more thorough driver research over the past half-decade, and while headphone drivers are admittedly not a fast moving field, the Pro-G driver should deliver cleaner audio than the previous drivers. 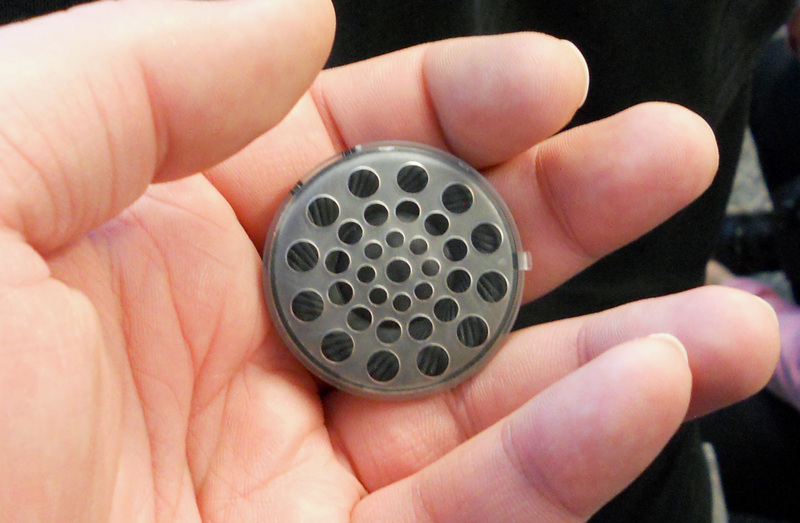 Meanwhile Logitech has also been working on the boom microphone, shrinking it significantly from the G930. 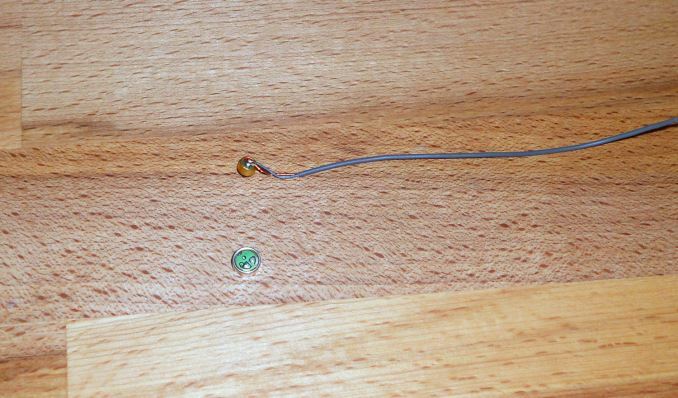 The microphone element in the Artemis platform is just 4mm in size, down from 6mm in the G930, allowing the overall boom mic size to be reduced. Much more significant however has been the design of the headset itself, which sees a number of changes relative to the G930. Along with a new headband, Logitech has relocated the G-keys that were previously on the side of the left cup to the back edge of the left cup. Doing so has allowed Logitech to free up the sides of the cups for removable/replaceable covers, and more importantly for the wireless G933 model, similar to some of their mice Logitech can now store the USB dongle within the headset. 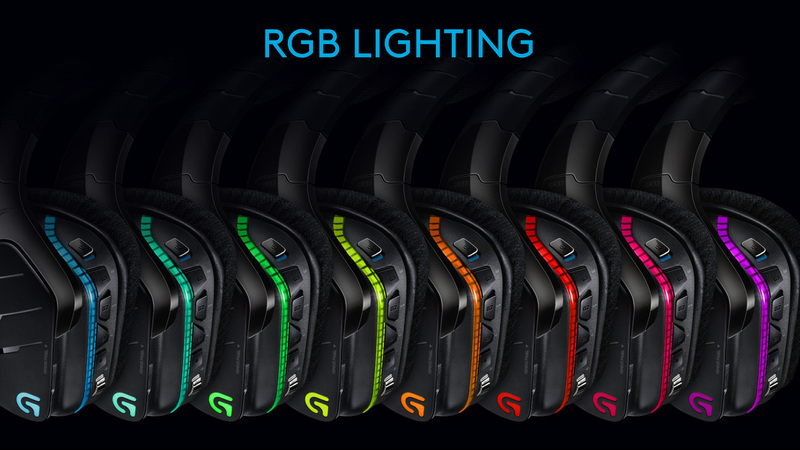 The redesigned body also facilities the introduction of one of the headsets’ new marquee features, RGB lighting. Both Artemis headsets feature RGB LEDs in each cup, which in turn allow the back edge of the headset and the cover plates to be lit up. This admittedly seems to be one of the more gimmicky features of the new headset, serving no real acoustic purpose, but from a design standpoint there’s little arguing that LED gear continues to sell well. The electronics within the headsets have also been updated. Using a new audio codec from Avnera, the Artemis platform now features the ability to mux audio from multiple sources. 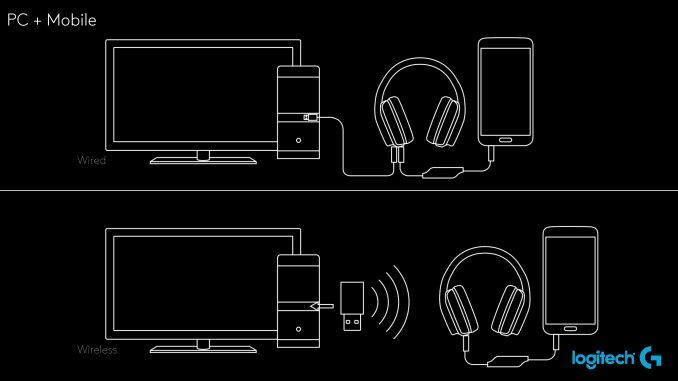 For the wired headset this means muxing the USB and 3.5mm inputs, and for the wireless headset this means muxing the USB and a 3.5mm input on the USB dongle itself, along with the 3.5mm input on the headset as well. Logitech calls this feature sound mixing, with the idea being that users can listen to multiple sources at once, e.g. a computer and TV, computer and phone, etc. Speaking of which, like its predecessor the Artemis headsets feature a range of input options to work with PCs, consoles, and other consumer electronics. 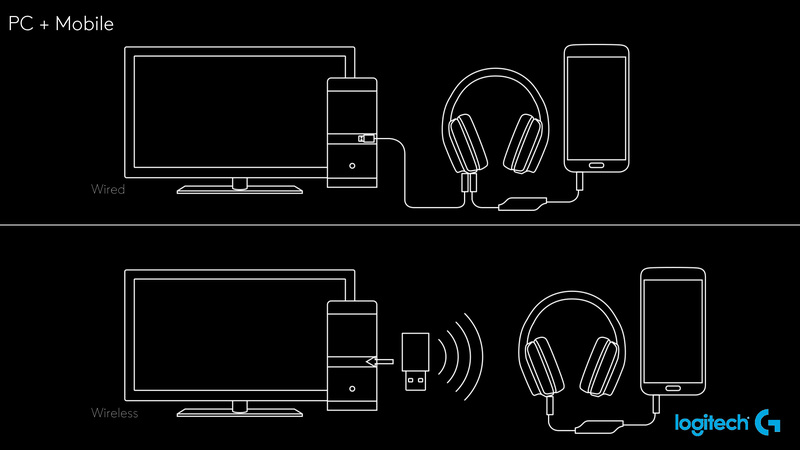 Both headsets feature a standard 3.5mm input/output for connecting to computers and consoles, and meanwhile the USB input works with a number of devices. Talking to Logitech, we’re told that the USB input presents itself as a 2 channel + mic solution, allowing it to be used with almost any USB device that supports USB headsets (e.g. console) and even Linux or OS X for that matter. However to make use of the Logitech’s 7.1 surround sound spatialization features, Windows and the appropriate Logitech gaming software are required. 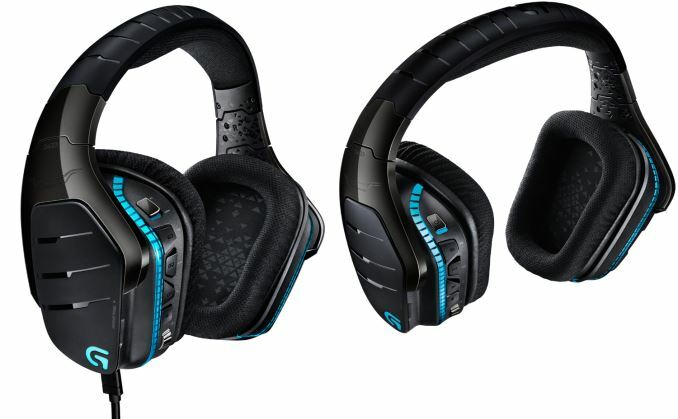 For the Artemis platform Logitech is updating their gaming software as well to offer more 7.1 surround sound functionality, and this brings us to the Artemis headsets’ other marquee feature: DTS Headphone X. Along with their previous support for Dolby Headphone 7.1 surround sound spatialization, the Artemis headsets will also get DTS’s Headphone X technology as an alternative spatialization option. Similar to the Dolby option, DTS Headphone X is a 7.1 channel spatialization solution, but unlike Dolby Headphone DTS is said to be optimized for gaming as opposed to Dolby’s cinematic feel. Subjective improvements aside, DTS Headphone X does allow for some soundstage configuration, something Dolby lacks, which Logitech tells us should deliver more accurate (or at least desirable) spatialization performance for gaming. The one catch to DTS Headphone X is that it is not in the shipping version of the Logitech gaming software, and will not be available until October of this year. Finally, for the G933 wireless version in particular, Logitech tells us that range and battery life are both improved over the G930. The headset now offers 15m range and battery life is up to 12 hours, versus 12m and 10 hours respectively. Furthermore thanks to the aforementioned use of the removable cup covers, it’s now possible to change the battery on the G933 without using any tools, simply by popping off the cover and swapping in the new battery. On a side note, after checking with Logitech we’re also told that the G933 still uses the 2.4GHz band for wireless connectivity, so despite the inherent interference in the 2.4GHz band, Logitech has been able to extend their range through a better wireless chipset and improved antenna characteristics. Wrapping things up, while the Artemis Spectrum headsets are being announced today in time for this weekend’s PAX Prime event, the headsets themselves will not go on sale quite yet. The G633 wired headset will be available in September, and meanwhile the G933 wireless headset will go up in October. They will retail for $149 and $199 respectively. Ugly or not, a lot of League of Legends pros seem to be using them. They can't be that bad. Because VR has kicked everyone into realising "Oh hey, HRTFs still work". A proper HRTF with a single large driver will give MUCH better spatialisation than a bunch of small drivers. It will also provide better audio quality when you are not using spatialisation (e.g. music listening).